The property is just 2 blocks from The Grotto, just 5 km from the airport and only 10 km from downtown. The hotel is close to the airport but not in the flight path. This 3 story hotel offers 112 well-appointed guest rooms. There is an excellent restaurant in the nicely decorated lobby area. 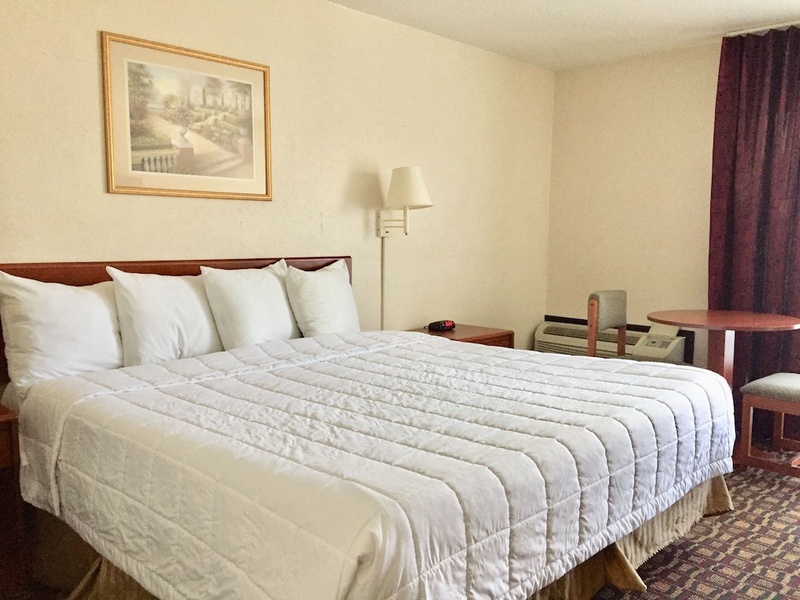 All rooms have 2 queen beds, desk and chair, cable TV with premium channels, fridge, microwave, coffee/tea maker, hairdryer, and iron/board. Guest can swim in the seasonal pool and are also get complimentary admission to a health club less than 1.5 km away. Steamers Restaurant and Lounge is adjacent to the hotel open for lunch and dinner specializing in seafood. Close to the Portland airport. Close to Portland airport. Location is excellent. Close to Portland Airport. Close to parking areas and the airport. Vibe is not too good. Wi-Fi was open. Good wi-fi connection. Free wifi. Staff was very friendly and helpful. Poorly trained front desk crew. Terrible customer service. Worst hotel breakfast. There was no breakfasts. Breakfast room is tiny. Water pressure was terrible. Broken bathroom door. Bed was horrible. Old worn mattress. Dirty linens. Worn out beds. Halls dirty. Floor was dirty. Dirty bed. Plumbing is getting old. Outdated facility. Old worn mattress. Outdated facility. Horrible exterior. Halls dirty. Treadmill didn't have. Rowing machine didn't have. Very small fitness center.